The HNU camera provides exactly what is to be expected from a high-end EMCCD camera: virtually no noise. 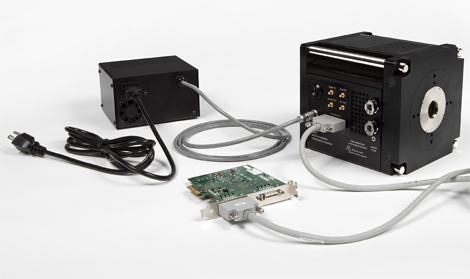 Integrating the patented CCD Controller for Counting Photons, it creates fewer clock-induced charges than other EMCCD cameras while achieving EM gains up to 5000. The HNU innovative packaging also ensures optimal chip operations at -85 °C with air cooling. In short, it is the finest camera for photon counting applications. 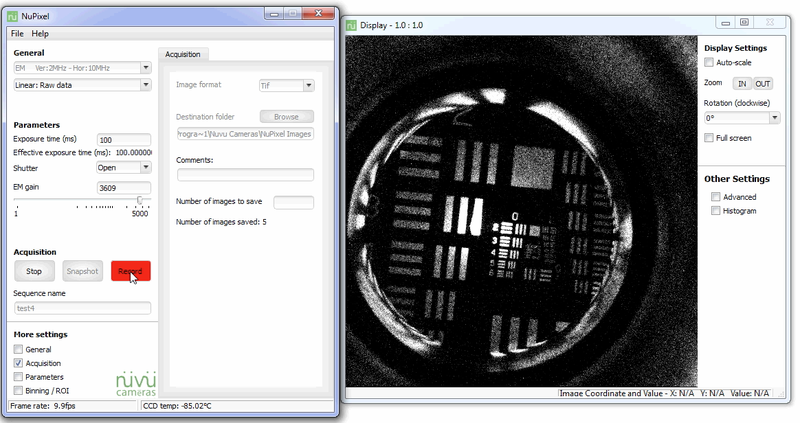 HNU’s unique packaging, with material and assembly in compliance with ultra-high vacuum requirements, and thermoelectric air-cooled unit guarantee a stable -85 °C chip temperature within a 0.01 °C margin, even using the camera entire imaging area at a 20MHz pixel rate. Doing so decreases the dark noise signal while guaranteeing optimal charge transfer efficiency (CTE) throughout the EMCCD. The CCD Controller for Counting Photons (CCCP), a Nuvu Cameras patented technology, decreases clock-induced charges, which dominate the noise level at high speed, while operating the camera in inverted mode of operation (IMO) reduces dark current. To this end, all Nuvu™ cameras are driven in IMO mode. Better, Nuvu Cameras’ technology uses no noise-filtering algorithms; it is rather the camera’s intrinsic noise that is essentially lower. 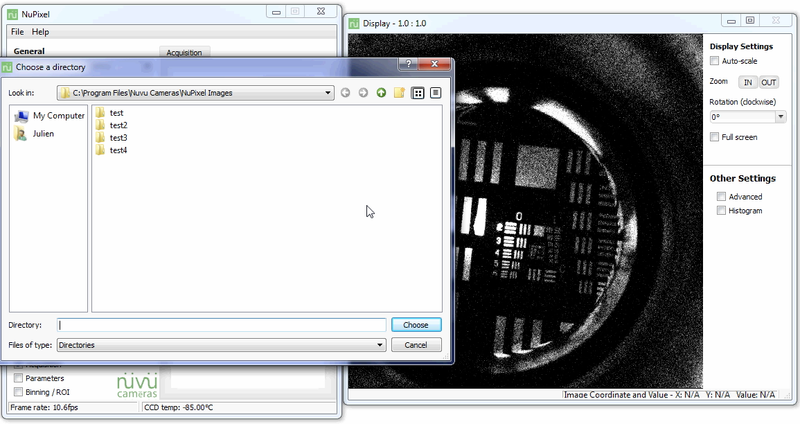 This is of great importance, given that noise filtering may remove genuine photons while processing the image. Nuvu Cameras’ CCCP controller also provides the highest EM gain - up to 5000 - for the lowest readout noise while decreasing the background noise for superior detection in low light imaging. Below are the total background noise levels of each of the 3 HNU models. Binning, selectable and customizable multiple regions of interest (mROI), cropped-sensor mode as well as a variety of pixel rates are available for attaining high frame rates. When combined, these parameters can answer all types of acquisition rates for low light application requirements. Nuvu Cameras EMCCD detectors are designed and optimized by a high-quality chip manufacturer for a specified readout rate. By pushing the limits of these detectors to achieve acquisition speeds greater than the manufacturer’s recommendations, cameras necessarily generate more clock-induced charges. However, Nuvu Cameras’ CCCP, the patented technology that drives the EMCCD sensor, is proven to produce the minimal CIC levels, resulting in much more efficient high-speed acquisitions. 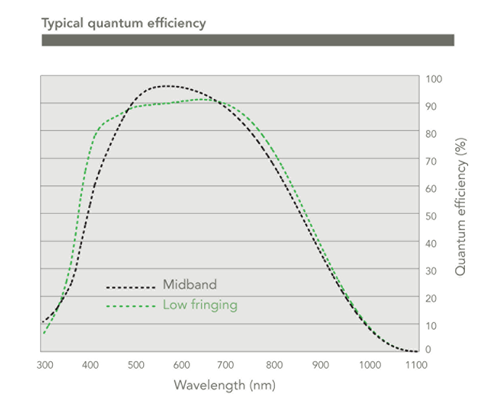 In order to detect the most photons, EMCCD cameras must optimize the total effective quantum efficiency (QE). In turn, this critical parameter is influenced by the sensor’s quantum efficiency. EMCCD detectors are typically manufactured either for midband or low fringing applications. To learn more, take a look at our EMCCD tutorial for information on how EMCCD devices optimize QE-related performance for each type of application. midband detector available for all HNU models. low fringing detector available for HNU 512 and 1024 models. Choosing the right window is critical to select the perfect camera for a given application. The window is optimized for signal transmission with respect to the detector’s bandwidth. The window may alter the consistency of the photon wavelengths transmitted to the detector. Nuvu Cameras uses at least λ/10 quality windows, mandatory for optimal image quality. Combining small size with full controller integration makes the HNU camera a compact and easy-to-use device. Standard C-mount, holes on the face plate, and standard holding posts on the sides of the camera allow quick and easy integration into any system. The HNU camera also offers data transfer through either Gigabit Ethernet or Camera Link for fast and reliable image data transmission. Besides, the HNU requires no maintenance with its vacuum-sealed thermoelectric cooling system. All parts are treated in compliance with high vacuum specifications, including sealing all in a 10,000-class cleanroom to ensure the longest vacuum lifetime without maintenance. The patented CCCP controller is fully integrated into the 6.125” × 6.125” × 7” camera housing. The power supply size is also under 5” × 3.5” × 5.5”, all in order to optimize the HNU’s compact size and efficiency. A built-in shutter enhances detector longevity, allows dark frame acquisitions, and is remotely controllable with our software for all application requirements. 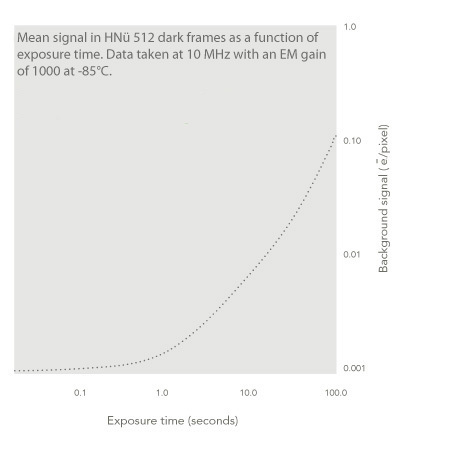 HNU cameras operating temperature is either achieved by air cooling (down to -85°C at a full pixel rate of 20MHz) or liquid cooling (down to -90°C at a full pixel rate of 20MHz), accurate to the nearest 0.01°C, to attain the lowest background noise for the very best performance in low light imaging. 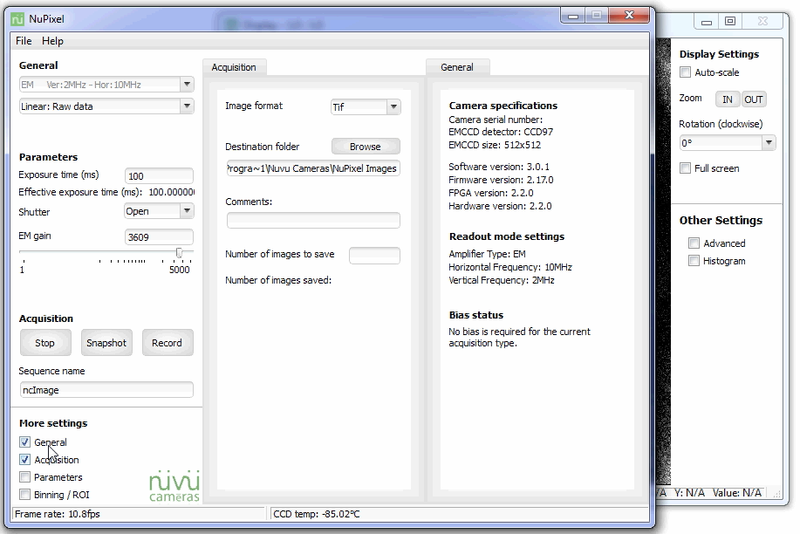 The NuPixel software is designed as a user-friendly tool for intuitive control, acquisition, and analysis of any snapshots and sequences acquired with all Nuvu Cameras products. For customizable programming, a complementary software development kit (SDK) is included. A variety of drivers for third-party software, as well as consulting services, are also available. In addition to an intuitive user manual for independent installation and use of our products, Nuvu Cameras offers international on-site training as well as complete installation consulting services. Our team’s passion is the development of the ultra low light imaging field; as such, we provide a variety of services to efficiently minimize the delay between purchase and future discoveries. 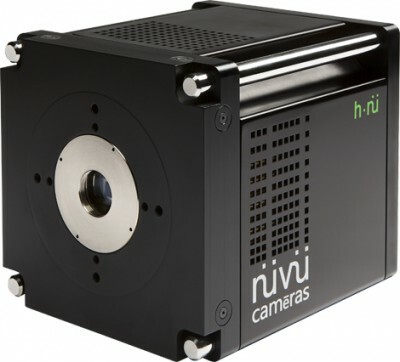 Nuvu Cameras is a Canadian company specialized in designing and manufacturing novel EMCCD cameras for fields where the drive for cutting edge instrumentation propels innovation. We improve imaging performance for a number of fields including biomedical research, astronomy, photonics and more. As such, our cameras benefit from extended warranty policies. Basic warranty includes a 2-year warranty on all parts and labor (subject to the terms and conditions expressed in the respective products’ user manuals). Extended warranty options are also available on demand. 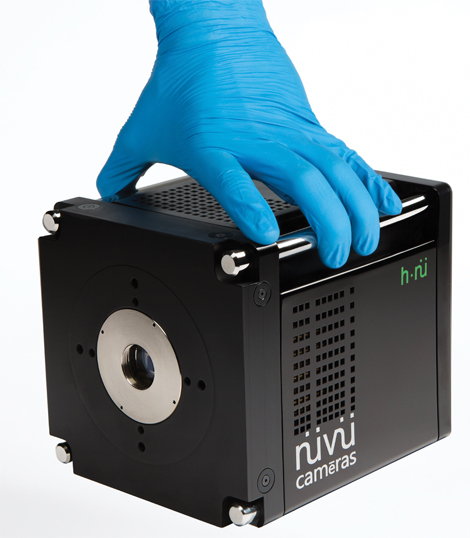 Nuvu Cameras manufactures the darkest EMCCD camera. The secret? Its CCD Controller for Counting Photons (CCCP), an innovative technology that virtually suppresses clock-induced charges (CIC), and a cooling Peltier unit integrated into an ingenious packaging. 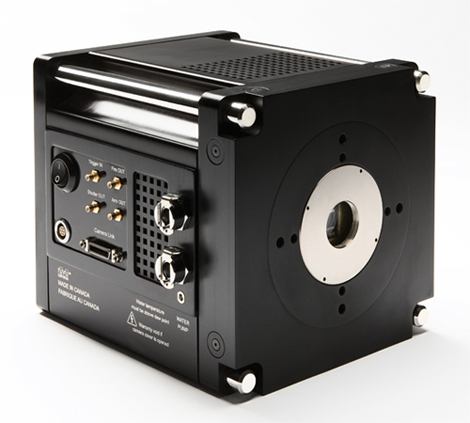 The thermoelectrically-cooled HNU camera operates between -85 and -90°C with outstanding precision to optimize CIC and dark current to their ground level. The images below illustrate the accumulation of dark current when the shutter is closed. The darker the image, the less noise is present. Acquisition conditions: -85 °C cooling, 10MHz readout speed, EM gain of 5000 for Nuvu Cameras, and 1000 for other EMCCDs. At high readout speeds, the electron transfer from one potential well to the next may be incomplete, leaving a few charges behind. Consequently, the leftover electrons artificially increase the brightness of certain pixels, thereby diminishing the overall image quality with the addition of arbitrary blurry spots. However, Nuvu Cameras’ CCCP preserves charge transfer efficiency (CTE), even at low operating temperature and increased EM gain, while decreasing CIC, yielding highly superior image quality. Nuvu Cameras EMCCD technology. Other EMCCDs. As stated in its name, the CCD Controller for Counting Photons was purposely designed for photon-counting imaging. Resorting to arbitrary clocks rather than regular square clocks to shift the electrons through the EMCCD, the controller clamps down the generation of clock-induced charges and significantly reduced the detector’s total background noise. Consequently, the EMCCD ability to discriminate single-photon events is considerably increased, and the camera can effectively operate in photon-counting mode as long as the background noise is low. 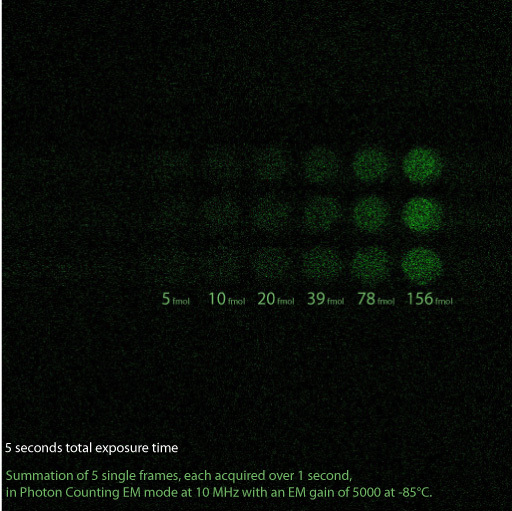 In extreme cases where the expected intensity is about a single photon per pixel per second or even less, the photon counting (PC) mode is the ideal solution to obtain high-quality images. 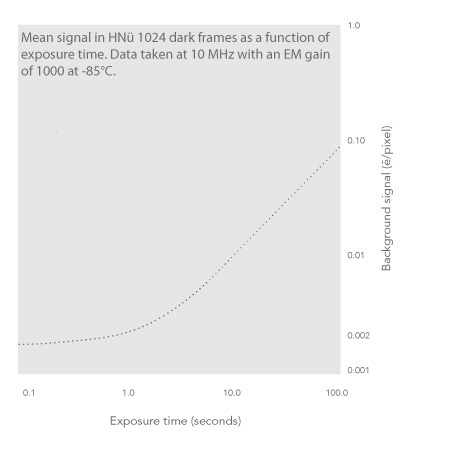 By eliminating the excess noise factor (ENF) and using a statistically significant threshold, pixels are individually analyzed to determine whether or not they truly detected a photon despite various noise sources. Displayed below are images of extremely dim light sources - low concentration bioluminescent samples - and illustrate de power of photon-counting imaging in such conditions. All figures are a courtesy of the Universite de Sherbrooke Hospital Centre. 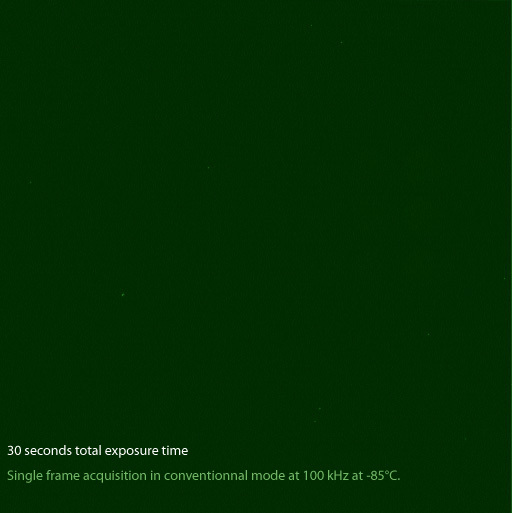 Single 30 seconds acquisition in conventional (CCD) mode. No details are visible where we should have seen several bioluminescent ATP samples. 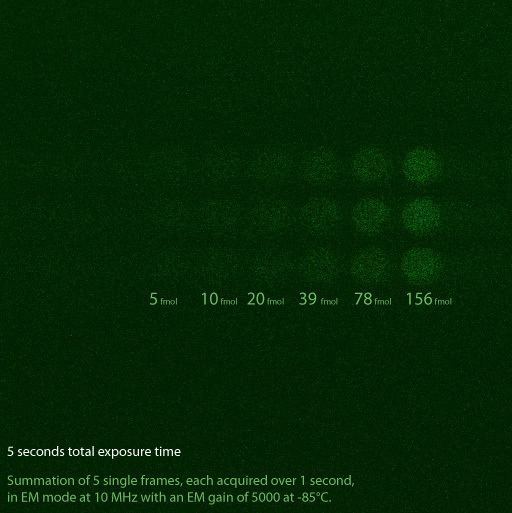 Applying electron multiplication to suppress the readout noise reveals the bioluminescent ATP samples in 5 seconds. As such, all six ATP concentrations are detectable with SNR values varying from 1.9 to 14.1 (or, equivalently, 2.8 dB to 11.5 dB). Photon counting mode with an EMCCD increases the contrast of all ATP samples by suppressing the excess noise factor (ENF), thus allowing considerable improvements in image quality. The SNR increases from 6.6 to 51.3 (equivalent to a range of 8.2 dB to 17.1 dB).